Fortnight on Maxwell Street is a reluctant hero’s journey of fear and courage set in Chicago in the spring of 1968. 24-year-old medical student Nick Weissman spends two weeks delivering babies in the kitchens and bedrooms of the inner-city’s slum tenements. Over his head medically, and unprotected in one of America’s most dangerous neighborhoods, his character and resourcefulness are tested in the extreme when a national tragedy intervenes. 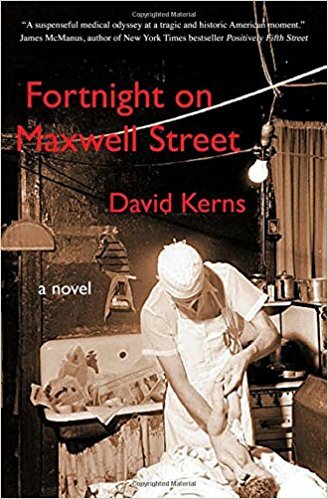 David Kerns retired a decade ago from his career as a senior hospital executive and Stanford medical professor to devote himself full-time to writing. For the past six years he has been a columnist and feature writer for the Napa Valley Register. 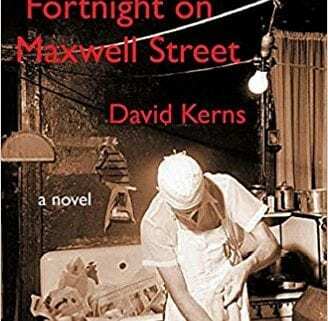 Born and educated in Chicago, his inspiration for Fortnight on Maxwell Street was his own two-week Northwestern medical student rite of passage at the Chicago Maternity Center on the city’s West Side.